Guy Gunaratne grew up in North West London. His first novel, IN OUR MAD AND FURIOUS CITY, was longlisted for the Man Booker Prize and shortlisted for the International Dylan Thomas Prize, the Authors' Club Best First Novel Award, the Goldsmiths Prize, the Gordon Burn Prize and the Jhalak Prize. 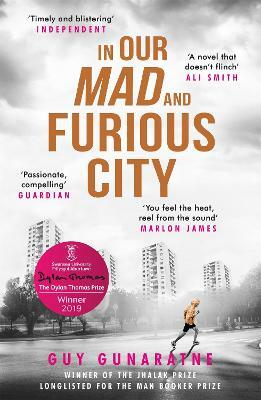 IN OUR MAD AND FURIOUS CITY was also published in the United States, France, Italy and Sweden. Guy Gunaratne is one of the judges for the Goldsmiths Prize 2019. He lives between the UK and Sweden and has worked as a documentary filmmaker in human rights journalism.